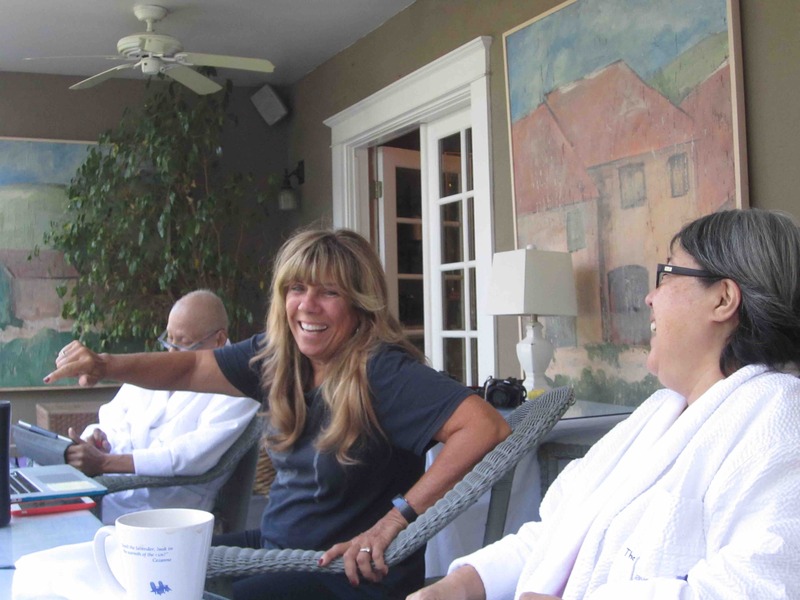 Kathy Hartley, owner of Ojai’s Lavender Inn, says the thought of owing a bed and breakfast had never crossed her mind until she and husband Mark, in the music business, bought the Inn in 2003. “I never thought I’d be doing something like this. I had no experience in business at all, and I hit the ground running when we bought the Inn. The reason I got into this is because my husband and I refurbish old buildings. But, when we bought this one, he said, ‘I’m really busy, you have to be in charge.’” What she was in charge of then is quite different than the business she manages so seamlessly today. “When we first bought it, they were taking reservations on a spiral notebook,” she recalls. Hartley, a former Special Education teacher, is passionate about other groups too, and has served with Ventura County Interface Children & Family Services, the Women’s Economic Venture, Ojai’s Reins of H.O.P.E. equine therapy, and others.